A very popular choice for many couples, and guaranteed to be popular with your guests. 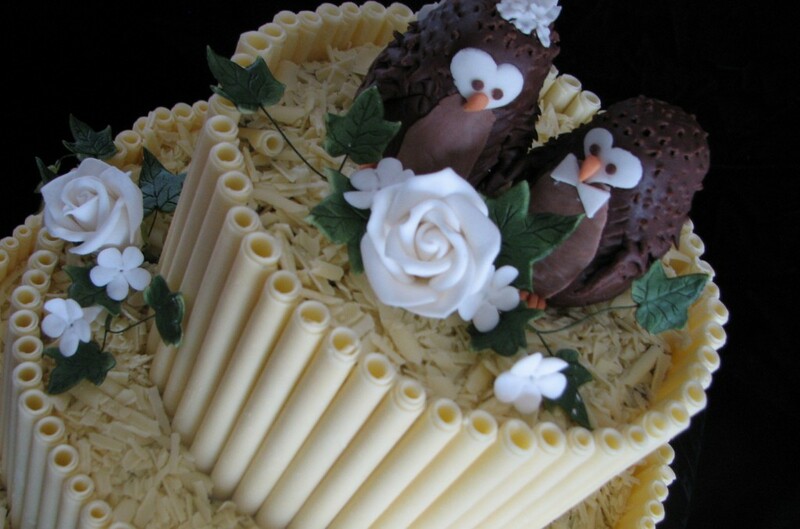 White Belgian chocolate curls and fresh wedding flowers can give a traditional look, or a smooth glossy dark chocolate ganache forms the base for many modern and contemporary designs. Fondant Iced How secure is a croquembouche or piece montee?